Lavazza at Wimbledon – Pimms Out? The iconic Lavazza brand is once again partnering with Wimbledon as the official coffee of the world’s premier tennis event. Serving over a million cups of coffee court side since their initial partnership in 2011, the Lavazza purple and green again waves over the grass courts of Wimbledon curated by former chef, Neil Stubley. Leading one to think that coffee may be a contender to replace the more traditional beverages of Wimbledon – tea and Pimm’s Cup. Once the drink of choice for British socialites, Pimm’s Cup had become the official drink of cricket matches, garden parties, polo, tennis and Wimbledon. Made with Pimm’s No. 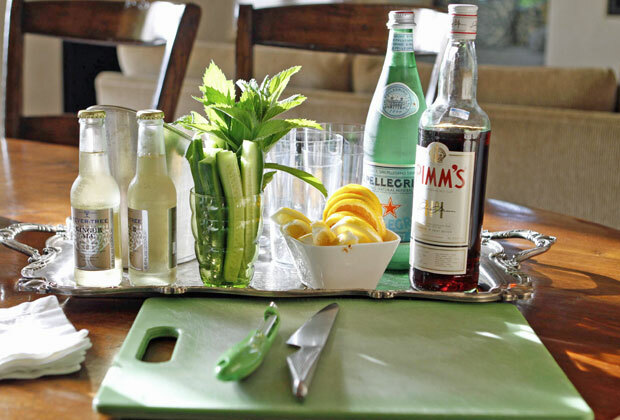 1, a gin-based liquor created in 1859 by English oyster bar owner James Pimm, this aromatic-infused digestive tonic relies on a recipe that is still a secret (only six persons know exactly how it is made). It shares this mystique with many other famous herbal liqueurs including Italy’s bitter-sweet aperitivo Campari whose formula has remained incognito for almost 150 years. Only nine people know parts of the formula. A tenth person, the company president, is the only one who knows the entire formula for mixing the 68 herbs, spices and wood barks involved. For those of you who were wondering about the number 1. After the Second World War, the Pimm’s company extended into other spirit bases – Scotch for No. 2 cup, No. 3 brandy, No. 4 rum, No. 5 rye and No. 6 vodka. Only the vodka cup and brandy (now called Winter) remain in production with the original No. 1 cup still the most popular. Although the Italians have managed to equip a Fiat 500 L hatchback with an espresso maker they haven’t managed to design a car fueled by espresso. Leave that to British engineer Martin Bacon using a process known as gasification. By introducing a controlled amount of oxygen (or steam) to coffee beans (or any organic, carbon-based material) and by increasing the temperature to above 700C (1292F), a fuel called syngas (synthetic gas) is produced and can be burned using a normal internal combustion engine or fuel cells to power a car. 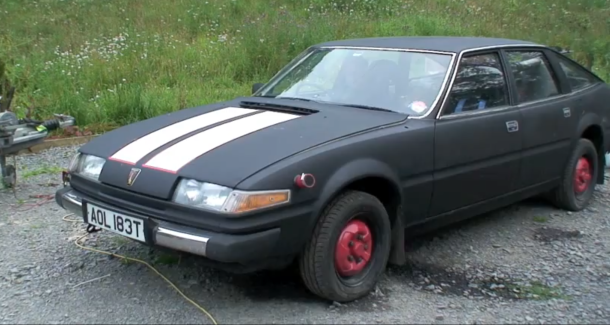 The “coffee car”, brewed up by Bacon and created by the Teesdale Conservation Volunteers of Durham, England, is a modified British Leyland Rover SD1 appropriately painted mat black. It set a new land speed record for cars fueled by coffee. Given the rising cost of gasoline, using renewable green energy to power cars is always on the drawing board. A previous American version, fueled by wood pellets achieved 47mph. The Leyland Rover SD1 averaged no less than 77.5mph with a Guinness World Record noted for the achievement. 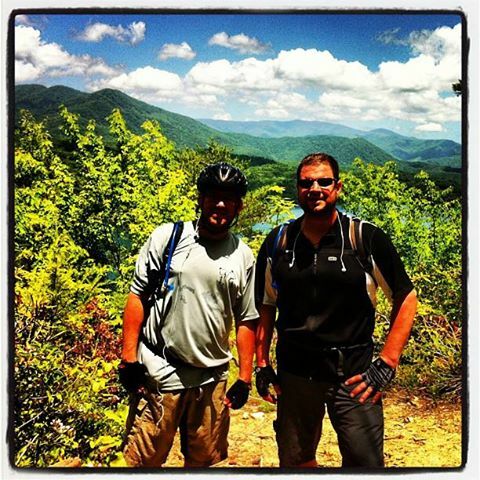 Eric,our marketing director, is spending the week mountain biking in the Nantahala National Forest in southwestern North Carolina. For the last 15 years he and a group of friends (Team Billy Goat) have a biking bromanace once a year camping and riding the trails on land said to more closely resemble coffee spatters than official survey lines. More than 516,000 acres cut across the crest of mountain ranges and waterfalls to the river valleys and lakes below making the trail loops and switchbacks of the Nantahala bikeway a popular destination for off-road bycycling. Like any white, green and red-blooded Italian male, Eric wants, needs and must have his morning espresso but sitting around the camfire on a brisk cold morning waiting for your Moka pot to boil may not be the best way to tackle the 4-loop trails of the Tsali. So on next year’s ride we’re having him trail test the Handpresso Espresso Wild, a portable handheld espresso machine that weighs just 2.05 pounds. Perfect for espresso to go. The Handpresso Wild pulls a 16 bar pressure, just as high and in some cases, higher than an electric espresso machine but uses power you create manually, much like with a bicycle pump. There are two models, one that uses pre-packaged E.S.E. pods or one that uses freshly ground coffee beans. All you need is hot water, which is easily made over your fire. All I would need is a Brioche S’more made with Nutella to make me one happy camper. In 1994 James Gosling coopted the word Java and invented a programming language designed to make the web fun and interactive. Within the annuals of computer mythology it is said that the name Java was chosen to reflect the essence of technology: dynamic, revolutionary, lively and fun. Kind of like a cup of coffee. So what does this have to do with Italy? Enter the common denominator coffee (Italy’s favorite drink) and enter Exofficio, known for smart, innovative travel clothing (in our case for traveling to Italy). Exoffico, recognized for its technically designed travel wear, has introduced a new line of lightweight clothing that uses an innovative fabric made from recycled coffee grounds. 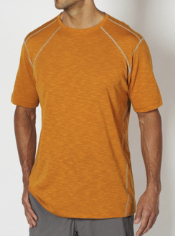 S.Café® JavaTech technology embeds processed coffee grounds in the fabric for T-shirts that keep you comfortable and dry. The grounds create an increased surface area to wick moisture away from the skin and neutralize odor molecules to keep your fresh. We think that relaxing in this shirt with a cup of espresso on just about any piazza in Italy might be the perfect way to experience total immersion in la bella vita. Can the Japanese Make Espresso? Can the Japanese make espresso? In a country so committed to tea with a choreographed ceremony that considers every movement and gesture – can there be a place for the art and science of Italian caffe? 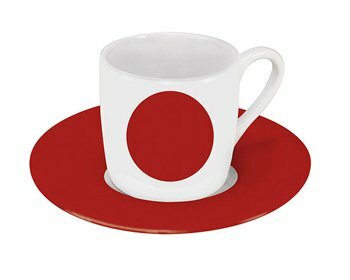 Surprisingly Japan is considered to be one of the largest consumers of coffee in the world with a passion and love for coffee that is spreading more and more. エスプレッソ , the Japanese word for espresso, is becoming so popular it’s not uncommon to see coffee shops and espresso bars amid the neon and buzz of Tokyo and the shrines and temples of Kyoto. Although the Japanese coffee culture may be in its embryonic stages, like a chrysalis waiting to become a butterfly the Japanese are embracing a new way of thinking about coffee and steamed milk. With creative methods of brewing as ceremonial as any tea ritual, the Japanese style of making and drinking coffee is reflected in the Hario syphon coffee system. Not quite the la bella vita crema of espresso but made well enough to transport you to a zen-like state of coffee satisfaction. Known for making high quality heat-resistant glass, this Japanese company has been manufacturing glassware since 1921. 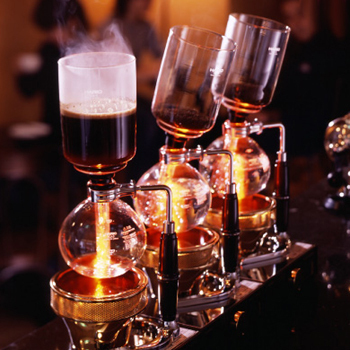 With systems and vessels that look like beakers in a chemistry lab yet combined form visual works of art, Hario’s coffee (and tea) brewing systems produce a rich bodied flavorful drink with precision and beauty.